mFortune mobile casino is one of the most unique out there. Other casino sites might pride themselves on providing for mobile players, but mFortune casino goes one step further and caters for mobile and tablet users first. This means one of several things. First, to play, you have to download the mFortune casino app, or a shortcut on your home page. So much the better. The interface works beautifully on any device. And we mean any device. We tried iPhone, iPad, iPod, Android, Nexus, HTC, Blackberry, Windows… we did everything to break it and we couldn’t. Obviously, we will never be able to test every device known to man, but boy did we try as wide a variety as possible. The only pet peeve we could find is that you do have to download some of the table games, like roulette, bingo and blackjack, as separate apps – but you’ll find the link from the casino app if that’s your games and you can deposit, withdraw and do all the things you need to do within the game app, much like the casino. All the mobile slots and games are built by mFortune mobile casino. On one hand, you won’t find your old favourites on the list. On the other hand, the mobile slots are completely unique to the mFortune casino on mobile. So how good are mFortune’s mobile slots? Decent and custom built for your device. For themes, many of them are old Vegas classic slots style, but there’s a whole range of themes, from Gold Prospecting to Sherlock Holmes, to Cave Men. Their video slots all have a similar feel and play however, and the choice isn’t in the hundreds like other casinos online. But the numbers rise month by month. They also have a great poker, roulette and bingo room, with a social chat, if you like that kind of thing. 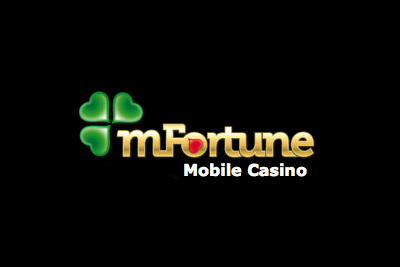 Best of all, as a mobile phone casino, mFortune’s bonuses are made for us mobile lovers. So not only do you get € £5 free casino no deposit bonus to start with but then you also get a 100% welcome bonus up to €/£100. They provide fantastic mobile casino bonuses regularly and, here is the sweetener we love… NO WAGERING REQUIREMENTS. You hear that? NONE. That means, everything you win with the £5 free bonus money at mFortune is yours to keep. You can’t take the bonus out of your account, but you can use it to play and win. There is literally no fairer no deposit bonus offer out there. Plus you usually get a random number of free spin on their latest game. The mobile slots might not be too fancy, but the payout is good, the offers are amazing and the mFortune casino app works seamlessly on a wide range of Android, iOS and Windows devices. Mastercard, Visa, Maestro, Paysafecard, Delta, via Phone Bill for UK players. The mFortune slots and games are completely their own. They have been built to maximise the mobile experience for mobile casino players. This means a good payout rate and reliable classic style games. You won’t find very many video slots and graphics that jump out of the screen, but you’ll be able to play great mobile slots you love, day and night and on the move. Word of warning, some of the minimum bets can be a little high - around 0.50 to 0.90 a spin. So pick your game wisely. Their mobile video slots include Vegas Vegas, Snakes&Ladders and Cat&Mouse with Fruit Machine and Quest For Fire being some of their classic slots for you to choose from. You'll also be able to find a great mobile bingo game, blackjack and roulette to play. Licensed by the UK gambling commission this regulatory board makes sure your money is safe with mFortune mobile casino. The encryption software is incredibly secure and the payment options are pretty good. Most major credit and debit cards are accepted including Visa, Mastercard and Maestro as well as UKASH, Paypal and Skrill. If you are UK based, you can also choose to pay by your mobile phone bill, which is a nice little touch that many other slots sites don't provide. mFortune thas 24/7 customer support, 365 days of the year. They have what we've come to expect from most slots sites – live chat, email and phone support. And what they also provide, which we love, is a call back option that you can do directly from your mobile, meaning that help and a real live person is only the cost of a text away. That beats live chat any day in our books. mFortune mobile casino have a huge range of bonuses for their players. They boast a loyalty program and promotions around world events. The refer a friend scheme is generous enough, with a €/£5 free for you and you also get 50% of your friends first deposit. Best of all you get a 10% bonus on all debit/credit card, PayPal, Skrill and Paysafecard deposits. The welcome bonus is particularly generous, giving you € £5 free no deposit required to test out their mobile casino. Plus you’ll also get to spin a mystery wheel which will give you anything from 10 to 25 free spin on their latest slot release. Once you’re ready, you can double your first deposit up to €/£100. So if you deposit £50, you’ll get an extra £50 on top and £100 to play with. You won’t be able to take the bonus money out, but you won’t have to play it 100 times to get your winnings. As soon as you win ANYTHING with your first deposit or any of your bonus money or free spin, you can keep it and withdraw it. That’s a great deal in our books. mFortune casino is dedicated to tablet and mobile casino games and slots. They provide their own custom slots and table games, great service and a native mobile experience via their casino app which won't disappoint. Sure, a lot of their slots are very similar, and you don't get the choice you would at a Microgaming or NetEnt Android casino, but if you want something a little more unique, with a very British flavour, mFortune is for you. And with no wagering requirements on any of mFortune's bonuses you will be able to enjoy your winnings even sooner, as this is one mobile casino site that values its players. Try them out today with £€5 free on sign up and see for yourself.